W Hotels Worldwide recently unveiled the 2012 W Hotels and burn studios DJ Lab, including new location and updated roster of DJ mentors. 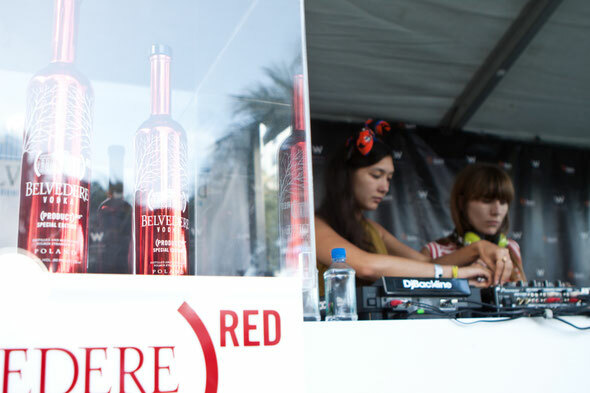 In its second year, the program is a collaboration between W Hotels and burn studios, an innovative music platform developed by burn®, a leading energy drink from The Coca-Cola Company. Launched last year at the burn studios Hacienda in Ibiza, Spain, the 2012 DJ Lab will move to Bali, a similar international hub for electronic dance music and global music festivals. The recently opened W Retreat & Spa Bali – Seminyak will host the weeklong program. Building upon the W brand’s mission of discovering ‘what’s new and next’ in music, the DJ Lab will tap eight rising talents from key international cities around the globe, providing them with mentorship to polish their skills during the intensive DJ ‘boot camp.’ The participants will then embark upon a global tour, playing for both guests and locals in W Hotels around the world. An updated roster of DJ Lab mentors, which include accomplished individuals from all corners of the music and entertainment industry, will also head to Bali this summer. The mentors will help the rising DJs hone their craft, perfect their music engineering skills and develop a personal sense of style, all while helping to bolster the many elements required to succeed on an international stage. Michaelangelo L’Acqua, Global Music Director for W Hotels Worldwide, will return as a DJ Lab mentor, bringing with him a skill set cultivated from years of working with brands to strengthen their presence through music curation. L’Acqua, who has held the Music Director role for nearly three years, also serves as executive producer of the DJ Lab, among his other work for W Hotels, including the Symmetry music program and extensive music platform on the W Hotels App for iPhone. He also remains one of the industry’s leading internationally acclaimed DJs and music producers. As part of the 2012 W Hotels and burn studios DJ Lab, L’Acqua has identified a top-tier group of mentors, including: Rob Garza, one half of the DJ duo Thievery Corporation; Paul Nolan, a master audio engineer who has DJ’ed alongside the likes of Mark Farina, DJ Sneak, Hernan Cattaneo and Danny Howells; Jason Bentley, Music Director of Los Angeles-based KCRW and host of Morning Becomes Eclectic, as well as a distinguished music supervisor for film and advertising; and W Hotels Global Fashion Director Jenné Lombardo, who will provide the DJs with direction on style and personal image. The 2011 DJ Lab included DJ Angus Wong (Hong Kong); Lincoln Madley (New York), also known as DJ Bouji; Miaou Mix, comprised of Noemi Sunshine Ferst and Judith Dju (Tête d'Affiche, Paris); Stopmakingme of London, also known as Daniel Avery; and Eiko of Tokyo. While in Ibiza, the up-and-coming DJs were mentored by day and spun various events by night, including a sunset cruise on a catamaran and a W Happening at La Plage, one of Ibiza’s best beach clubs. Throughout this past year, the DJs were invited to spin at W Happenings and other sought-after events, including new W Hotels in London, St Petersburg, Bali, and Taipei; Fashions’ Night Out in New York City; and residencies at W Retreat & Spa - Maldives and W Retreat Koh Samui. W Hotels also featured exclusive mixes created by this group on the music tab of the W Hotels iPhone application, an integrated music platform that features more than 150 hours of exclusive curated playlists. 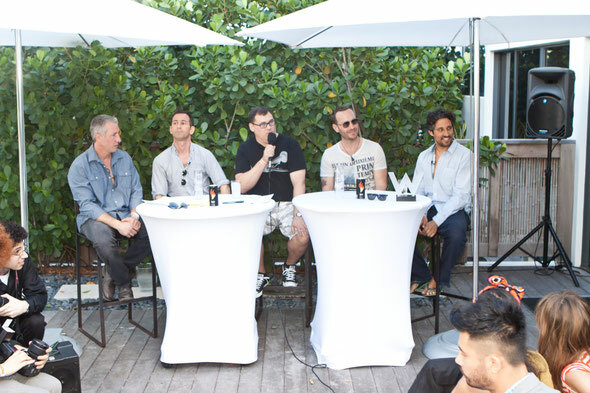 To unveil the 2012 DJ Lab, W Hotels hosted an industry panel discussion, titled “In the Mix: The Importance of Mentorship within Music” at the W South Beach. The panel was moderated by Jim Tremayne, Editor of DJ Times, and included Maurice Bernstein, CEO/President of New York-based Marketing Agency, Giant Step and George Hess, Head of Global Promotion at Strictly Rhythm, as well as L’Acqua and Bentley. DJ Angus Wong and Noemi Sunshine Ferst and Judith Dju of Miaou Mix also took part in the discussion and later DJ’d for the crowd of industry influencers and music VIPs who were gathered at the hotel to celebrate Winter Music Conference. 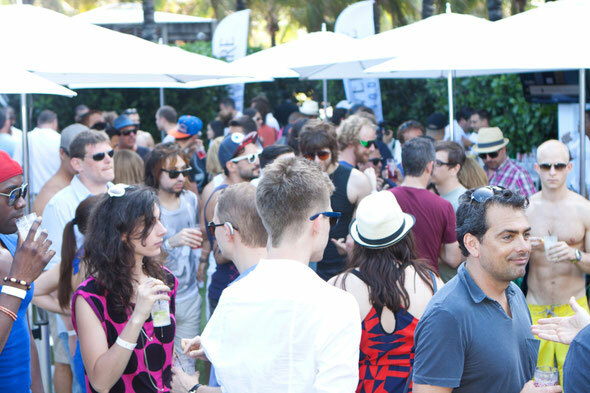 The rising DJs selected to join the 2012 program will be announced in the early summer, while W Hotels will announce a search for one final DJ through a partnership with Resident Advisor and Mix.DJ. Launching May 1, 2012, you can visit www.whotels.com/music for more details on how to participate in the competition or to download the W Hotels App. Et perspiciatis, sapiente ut voluptate temporibus sed praesentium at voluptatem quae est aut rerum.